We all had a great Christmas. Nana and Papa were able to be here and are having a good visit. 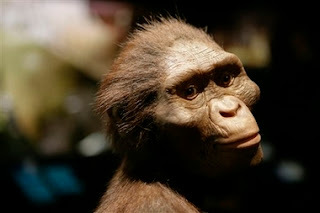 Today we took a trip to Houston to see "Lucy's Legacy" at the Houston Museum of Natural Science. 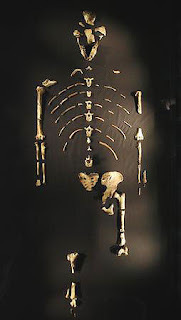 For those of you not familiar with Lucy, Lucy is a 3.2 million year old fossil of a pre-human called Australopithecus afarensis which was found in Ethiopia in 1974. Last month Callan and I went camping with her Girl Scout troop to Camp Robinwood near Conroe. The theme for the campout was Native American culture. We had such a great time learning about how they lived and their customs. We learned to make Indian fry bread, hair drops, and learned a few native dances.